Few people have influenced Christian spirituality, theology, and history as profoundly as Mary, mother of Jesus. Explore three key events early in her life that set the course for her role in salvation history. Learn what it means to be favored by God. Catherine Upchurch serves as the director of Little Rock Scripture Study and the general editor of the Little Rock Catholic Study Bible. Her work in adult faith formation involves writing, editing, lecturing, and leading retreats and days of reflection. She is an associate editor of The Bible Today, a journal of biblical spirituality, and a contributor to Give Us This Day, published by Liturgical Press. 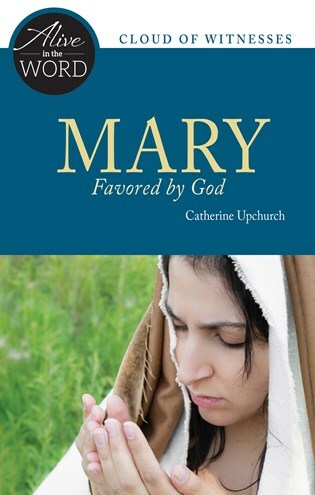 This booklet reflects on three key Marian passages from Luke's gospel: the Annunciation, the Visitation, and the Magnificat. Along with providing the texts of the passages, the booklet also offers reflections on the context and meaning of these biblical scenes, plus thoughtful questions geared to meditation and discussion. Attractively presented and illustrated, these booklets would be ideal either for private use or as an aid to Bible study and prayer.